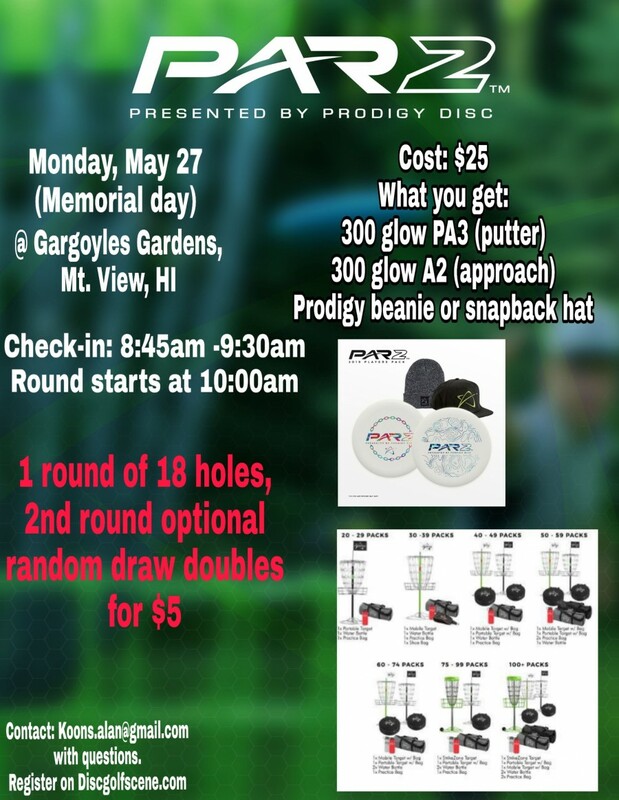 Aloha and thank you for your interest in this Prodigy Par2 event! The even will take place on Monday, May 27, 2019 @ Gargoyles Gardens in Mt. View, HI. This is a fun non-sanctioned event played on 18 holes that are between 80ft-150ft in length. All or most of the holes on the course will be shortened for this event. You must only use the 2 discs included in the players pack and you must purchase a players pack to play. You cannot use a players pack from another Par2 event played this year. 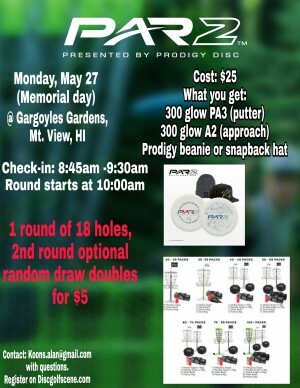 The cost is $25, which includes: 2 discs (putter and approach) as well as a Prodigy beanie or snapback hat ($40 value). We will also be providing lunch for free!! After the Par2, we will have an optional round of random draw doubles for $5 on the normal course layout with your normal discs. Contact me via email: [email redacted] with questions. Alan Koons is responsible for all refunds/cancelations.